Your hair has an important standing and role in terms of your physical beauty and compromising with perilous factors that lead to weak hair and undermine their beauty is the greatest beauty and health blunder you can commit. Despite the fact that you always end up with the perfect looks in your hairstyles; ever wondered why your hair tend to be dull and worn out when you look at them in their causal actual texture? The answer is quite simple- hairstyling practices, daily activities and internal weakness through improper or inadequate diet. Weak hair is a common issue with very other person you might talk to with problems such as spilt ends, rough texture, hair fall and brittleness being common. They indeed are some of the horrid beauty tarnishing looks of the hair which need immediate attention and care to avoid accentuated conditions which may or may not give you back your lost charm. While styling up we often make use of hairstyling tools which have heating as an essential measure to bring about the creativity of style. Frequent heating tends to dry up the hair cuticles and deprives them of their innate moisture which not only makes the hair fragile and brittle but also brings about a dull and worn out look. This can lead to hair fall, rising of split ends and roughness. Chemical hair treatments are gaining a lot of popularity in the current times whereby people seeking instant glamorous hair results spend heftily for a dazzling change of appeal. However; the situation is quite paradoxical as though you are basically intending to bring greater charm in your hair – you are actually depriving them of it. Chemical hair treatments tend to weaken hair follicle and dries up the scalp. Outdoor routines cannot be avoided but excessive sun exposure tends to be another factor that greatly contributes to weak hair through activities such as sun bathing. 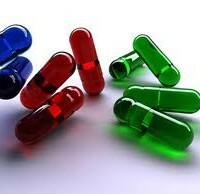 The use of hair pills has been common practice taken up by many people who wish to greater appeals to the hair and in doing so they tend to ignore the side effects of such of such pills which greatly upset the hormonal balance in the body that may lead to other physical inconveniences and influence proper functioning of other body organs. Taking too much stress enervates the brain and causes tensions that result in poor development in the head and scalp and as a result of which the hair are affected and can even fall. blow drying is a quick way to save time in styling while you’re on the rush but the daily use of blow dryers tends to deprive the hair of its lustrous shine and make it dry- with other issues such as split ends, roughness and brittleness being the aftermath. 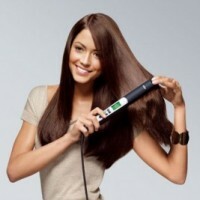 Over-brushing for the sake of a neat and well maintained style can be quite harmful for the hair. Though not many are aware of it; it is worth knowing that incessant and over-brushing of the hair results in the emanation of split ends which is a great setback to the beauty of the hair. Tight hairstyles like braids and ponytails indeed look fabulous and are very convenient when it comes to seeking a relief from the issue of incessant maintenance but this tight binding of the hair in fact can cause the hair to be pulled out from the roots and not to forget offer you slight pain when you untie them. Hot showers are indeed very relaxing after a hectic day at the office and academic institutions but this can be a very great blow to the strength of your hair. Hot water tends to open up hair follicles which can either loosen the grip of the hair or even result in hair loss which may shock you when use shampoo. Always adhere to the use of medium or luke water while washing hair. Cures of weak hair are basically guidelines of preventive measures that require a little effort for you to retain and regain the lost charm of your hair. The internal channel of fortifying weak hair is through a well balanced diet and food edibles rich in vitamins known for their role in strengthening hair follicles and facilitating better and stronger hair development. Food is the edifice of any aspect of attaining physical grace and charm and the safest and natural way to have that is to eat health food rich in iron, biotin, vitamin B’s etc. You can also take up supplementary assistance to boost the nutritional sustenance with Vitamins. Massaging the scalp with hair oils is another handy way that nourishes your scalp and provides it’s the moisture and essentials that fortify the scalp and whisk away the rough and dry look of the hair. 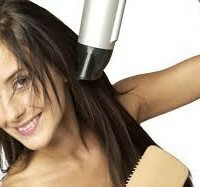 Play safe with your health and give up practices of taking pills and also restrict excessive use of styling tools.